Have a look at the combined best XI of TNPL 2018. 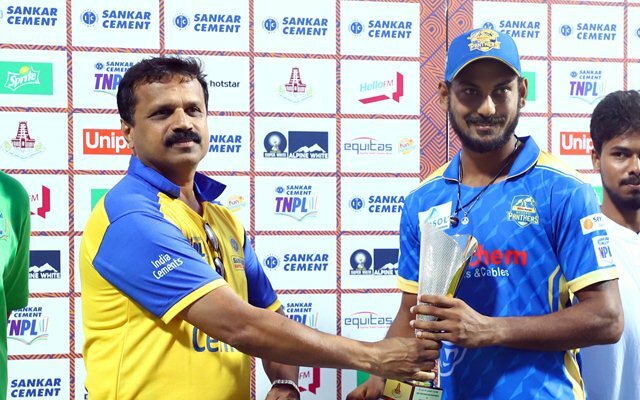 The third edition of the Tamil Nadu Premier League (TNPL) has finally come to an end. Madurai Panthers emerged as the champions this season after two winless tournaments. 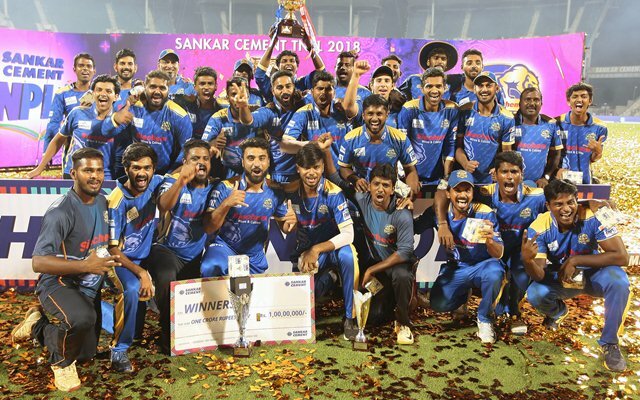 They defeated the Dindigul Dragons in the final by 7 wickets to lift the trophy for the first time ever. Arun Karthik, who was splendid for them right throughout the tournament was yet again the hero on the night of the final. He remained unbeaten on 75 while chasing 118 and was rightly adjudged the ‘Man of the Match’. Furthermore, he was also the ‘Man of the Series’. Apart from Karthik, there were quite a few other players who fared really well. On that note, here is the combined best XI of TNPL 3. The 32-year-old wicket-keeper batsman Arun Karthik has been around in the domestic circuit for quite some time now. He made his first-class debut in 2008 and is quite an experienced campaigner. Karthik was a part of the Royal Challengers Bangalore squad from 2011 to 2013 and has played 17 IPL games. This year in the TNPL, he was instrumental in helping his side win the tournament. He has played some gem of knocks opening the innings for his team, Madurai Panthers and will be taking the same role in this XI as well. This season, he has scored 472 runs in 10 games at a staggering average of about 79. His 75-run knock in the final was a treat to watch.